Setting up an office in Dublin? You’re in good company. Dublin is home to many of the world’s biggest and most influential companies, and with a tech and finance sector to rival Silicon Valley, it is no wonder so many companies are locating their headquarters here. Deciding to rent an office in Dublin is easy, but actually doing it can be anything but. Phrases like Serviced Office, business centre, hot-desking, co-working and pro-working get thrown around - but what do they actually all mean? And what one will work best for your needs? That's why you need our no-nonsense guide to renting a Serviced Office in Dublin. Here we will answer all your questions about Dublin office rentals and help you to find your perfect space. Choosing a Serviced Office for your business is a very wise decision. A Serviced Office makes renting a breeze; as the office is managed for you, all you need to worry about is getting on with work. The building will be entirely managed by a dedicated team and you will be charged just one monthly bill, making it very easy to budget and keep track of expenses. Which type of office rental is right for you? The answer to this question relies on a number of factors. How long do you want the space for? 1. Depending on the size of your team, you might fit comfortably into a co-working space shared with other businesses or you might be big enough to occupy a whole space by yourselves. However, even teams as small as one or two people can also occupy entire private offices - it all just depends on what you want from the space. 2. If you are a young start-up company, comfortable with working amongst other businesses, then co-working might be for you. It is usually cheaper than private office options, for obvious reasons. It is worth remembering that you can also opt for both options, with the majority of your team in a co-working space while key members can rent private offices in the same building. No two Serviced Offices are the same, so it is always good to ask your office broker what options are available to you. If your team is very flexible, you can even go down the hot-desking route. This is where your team works in a co-working space but doesn't have a dedicated desk; they just take whatever desk is free that day. If you like a little more consistency, fixed-desk options are also available, so your team can sit in the same seat each day and leave their belongings on the desks or in lockers. One large team can also occupy a whole space, with many business centres offering entire spaces for anything up to about 250 people. Private offices for teams of anything from one person up are also available. 3. Serviced Offices are incredibly flexible, meaning you don't need to tie yourself into long lease agreements of a few years, just to get your foot in the door. Instead, they offer rental agreements for as little as just a few months and can be extended for as long as you need. Depending on the space, you can also alter your desk requirements as you go. This means your space will grow with you as your team evolves. What do you get from a Serviced Office? Serviced Offices are buildings that are entirely managed for you, with all services and amenities already in place. Most come fully furnished, so they are ready for you to walk in the door and start working. You can also save money with Serviced Offices. As you may share the building with other companies, the costs are spread out more, meaning you can afford to set up shop in some of the most prestigious business addresses in the city. You can rent private offices or desks in co-working spaces. You can also make use of meeting rooms, boardrooms and event spaces which, depending on your building, can be included in your monthly price or rented on a need-by-need basis. Many also include surprise extras, such as rooftop terraces, gyms, cafes, restaurants and more. 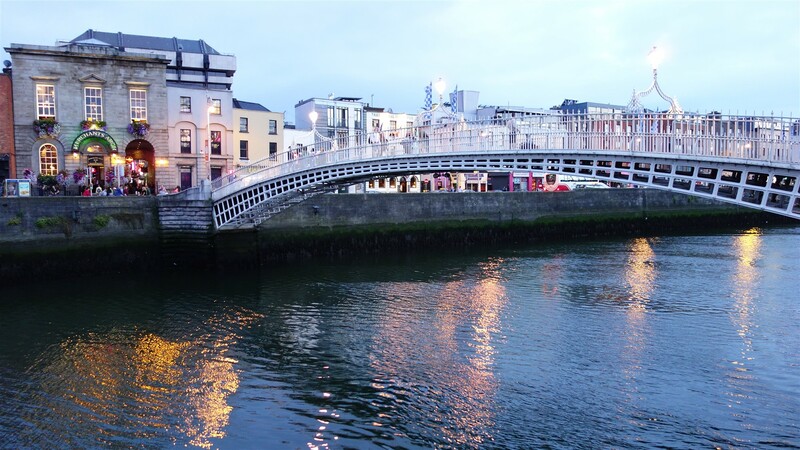 Our office experts have been working in the Dublin commercial real estate market for years. They have invaluable knowledge, insights and connections, meaning they are the best people to find you the Dublin office of your dreams. Our brokers are committed to finding you the best space, for the best price. The best part; Our services are always 100% free for you to use! For more information, check out our reasons why you should use a Serviced Office broker. Dublin office rental prices are pretty consistent throughout the city. In recent years, the prices have steadily risen but still remain competitive when compared to other European cities. All Serviced Offices are rented on a "per desk, per month" basis. This means you pay for the number of desks you use, per month. You can expect to pay anything from €300 to €900 per desk, per month, depending on location. Always be sure to use a Serviced Office broker, because they will find you the best office for the best price. Home to insurance, banking and finance giants in the city. See our Serviced Offices near the International Financial Services Centre. Locate in Dublin's tech district, which is home to Facebook and Google. See our Serviced Offices in Grand Canal Dock. Known for its Georgian buildings, this affluent area is home to companies like solicitors and creative agencies. See our Serviced Offices in Merrion Square. Georgian and Victorian buildings housing companies such as Deloitte, Dropbox and Amazon. See our Serviced Offices in Fitzwilliam Square. One of the most iconic addresses in Dublin, St. Stephen’s Green is a very popular location in the city. See our Serviced Offices in St. Stephen’s Green. In the heart of the city, College Green is close to prestigious Trinity University and all of the Tech Hubs surrounding it. See our Serviced Offices in College Green. An iconic location boasting unrivalled access to business amenities and services. See our Serviced Offices in Temple Bar. All of the enjoyment of the city without the hustle and bustle, and only 15 minutes away by train. See our Serviced Offices in Blackrock. Enjoy proximity to Ireland’s largest international airport while still taking advantage of all of the business services Dublin has to offer. See our Serviced Offices near the Airport. Set up next to Microsoft’s campus in the enterprise area of South County Dublin. See our Serviced Offices in Sandyford. Home to one of Ireland's largest Industrial Zones, with companies such as Excel and DHL. See our Serviced Offices in Ballymount. A quieter part of the city, home to many international companies. See our Serviced Offices near Iveagh Gardens. How to quickly and easily rent a desk in Dublin. Read more. Find out the benefits of using a Serviced Office. Read more. Our expert advice on securing office space. Read more.